Whether you are a novice or an intermediate user in the world of Photoshop, everyone can use tutorials. Even if a person is comfortable with the software, tutorials are a great way of introducing oneself to new styles and concepts and pretty much be amazed by what you can create with Photoshop. If you’re looking for Photoshop tutorials, Vunky Search is the place to go to. This site labels itself as the ‘Fast and Furious Photoshop Tutorial Browser’ or in other words, a Photoshop search engine. Both in looks and function, Vunky Search resembles one of the many multi-torrent search engines out there. When you look at the homepage, you notice the links to popular searches. Below that are some of the featured tutorials for the day. If you’re searching for something specific, type in a search term. If you’re browsing around, just ‘randomize’ or click on a link that interests you. The selected tutorial opens in its original site with no hassles. Vunky Search currently indexes 88 tutorials but I expect this number to increase over time. Some of the tutorials are simply superb. One more thing I’d like to see is tutorials for more software like Paint and the GIMP. After all, not everyone uses Photoshop. What do you think of Vunky Search? How do you think the site can be improved? What’s your favorite image tutorials site? Let me know in the comments. Update: The current Photoshop tutorial count sits at 791 which is a big increase over the less than 100 two years ago. Note that all tutorials are not hosted on the search engine's site. It instead embeds the pages they have been originally posted on when you click to view one of the tutorials.This means however that site navigation, quality of tutorials and way they are presented can differ highly. Update 2: The site is not available anymore. 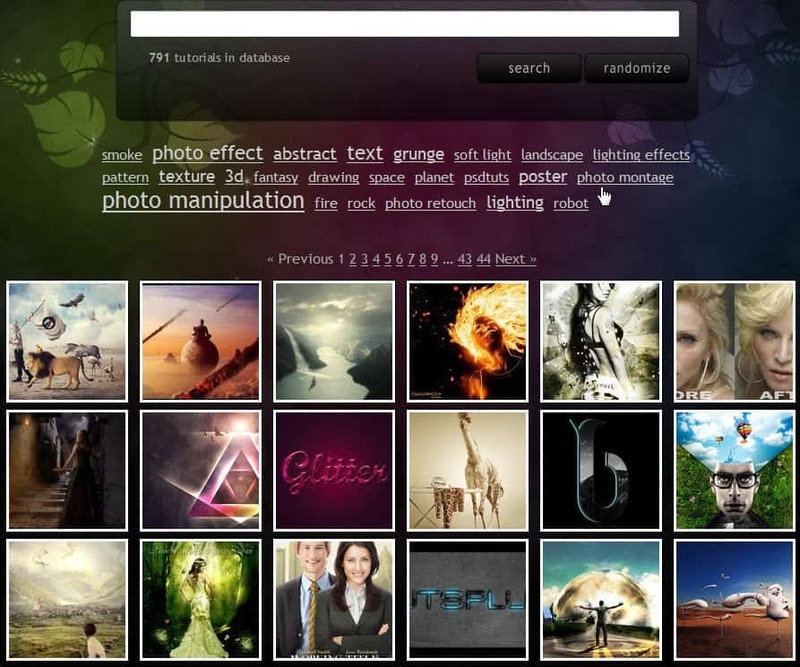 We suggest you visit other sites such as Phlearn, Photoshopstar or if you are interested in Photoshop Actions, Free PS Actions. Nice info, where is link ? Sorry about that, I added the link now. Thanks for pointing it out. Is there a place for Gimp tutorials? Photoshop does not run on Ubuntu. Thanks.